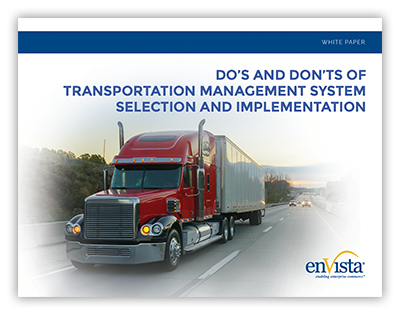 Studies have shown that a transportation management system (TMS) yields 6-8 percent savings on transportation costs – yet it is only being taken advantage of by 30-35 percent of companies! Supply chain execution software selection and implementation can be a daunting task for some companies, but there are several “do’s” and “don’ts” that can ensure the project goes smoothly. How to approach the TMS selection process by considering where you are in the TMS life cycle; whether an on-premise or cloud solution is right for your needs; and how to build the business case for TMS.